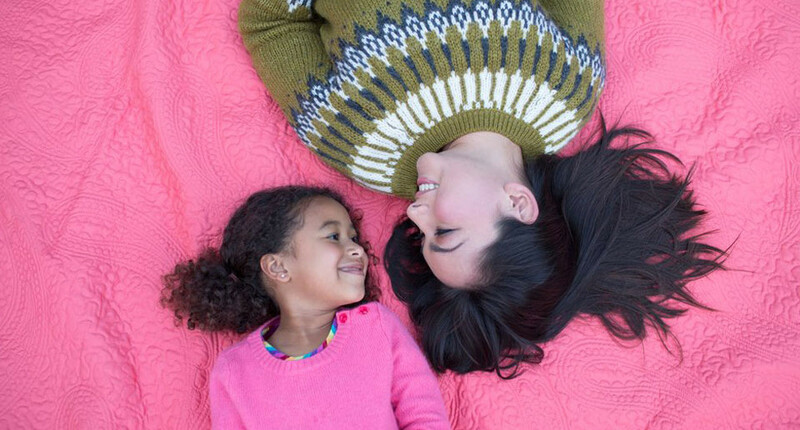 Live Well Be Well | Kaiser Permanente Northern California | Come On, Get Happy! 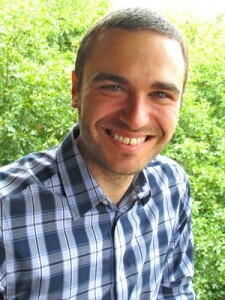 Jonah Paquette, PsyD, is hoping to improve people’s total health with a recently published book called Real Happiness: Proven Paths for Contentment, Peace, and Well-Being. Jonah Paquette, PsyD, says happiness isn’t something that just happens — we all have to work for it. 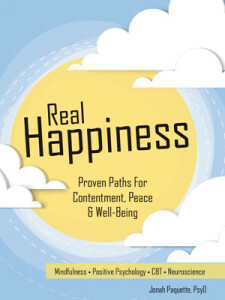 To help people find happiness, the Kaiser Permanente Vallejo clinical psychologist earlier this year published a book called Real Happiness: Proven Paths for Contentment, Peace and Well-Being. Drawing from research in positive psychology, cognitive behavioral therapy, mindfulness-based practices, and neuroscience, his 182-page book outlines the principles of happiness and how to strengthen your happiness skills. We spoke with Dr. Paquette about his book, what he’s learned from writing it, and the science of happiness. Can you briefly summarize the principles of lasting happiness? Lasting happiness is less about the good things happening around us, such as getting a new car, purchasing a new home, or getting a promotion at work. In truth, the good feelings that occur from these sorts of events tends to be fleeting. The key to lasting happiness is internal, and comes from our behaviors, attitudes, and mindset. The research has identified seven principles of happiness: kindness, gratitude, forgiveness, self-compassion, optimism, mindfulness, and connection. They sound simple, and they may not be anything new, but there’s been more research on the subject. We are understanding that there’s a great deal we can do to increase our happiness. Why did you write Real Happiness? So many people want to be happy — it’s what they want most out of life. And yet many people don’t know how to get there, and tend to pursue and seek happiness in all the wrong places. I wanted to give people the skills needed to reach a state of lasting happiness. It’s a practiced state of mind, and it’s a skill. How is your book different than others on the subject? There are a lot of books on happiness and self-contentment, but many of them are based on someone’s opinion and do not rely on research. My book draws on the latest science in this area. It reviews the seven key principles for happiness and gives readers 35 scientifically supported skills and exercises, which they can use to see their strengths and develop habits of well-being to change their lives. Can you give a few examples of the skills or exercises in your book? One of the most powerful examples is to write down each day three different things that we are grateful for; this can increase our sense of well-being while decreasing our depression, anxiety, and stress. It’s important to note that the skills outlined in my book aren’t a panacea. We all will still have painful, difficult, and stressful times, and real happiness doesn’t mean we never struggle with those sorts of things. Have you learned anything personally about being happy from writing Real Happiness? One of the best things about writing this book was to really learn and practice what I teach and preach. For example, I notice good things that happen each day, and I write them down. Over time, this has become more of a habit, and I find myself much more readily noticing the positive things that surround me each day. The research shows that it not only feels good to be happy, but it’s also good for us. Happier people have fewer physical ailments, live longer, and bounce back quicker after setbacks.